Paul Douglas Fonnesbeck (82) passed away on April 8, 2019, in his home in Honeyville. He was born on December 12, 1936 in Garland, Utah to Paul and Maurine Hurd Fonnesbeck. He married Thelma Jean Crawford and had five children. He was raised in Howell, UT, and later lived the majority of his life in Bear River City and Honeyville, UT. He attended Howell Valley Elementary, Bear River High School, and also got his bachelor’s degree in electrical engineering at Utah State University. Doug was a life-long active member of the Church of Jesus Christ of Latter-day Saints with a strong conviction of the gospel of Jesus Christ. He served a mission as a young man to Denmark and later another mission with his wife in the Salt Lake City Family History Library at Temple Square. He served in multiple church callings. Among his favorites were teaching gospel doctrine and serving in the temple. He was an electrical engineer at Hill Air Force Base and later worked for DCMA on NASA contracts at Thiokol, where he received the Astronaut’s Personal Achievement Award (Silver Snoopy). Doug retired in 2001. Doug trained horses and enjoyed chariot racing, horse racing, and rodeos. 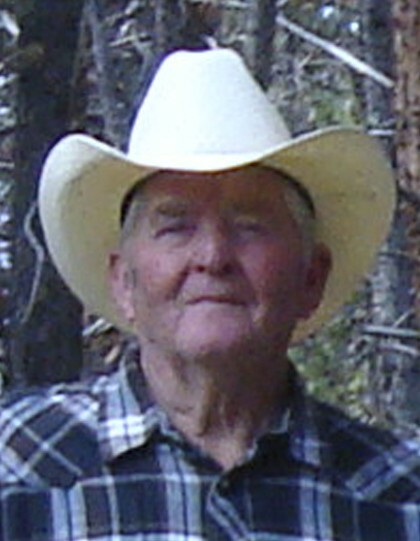 He also enjoyed trail rides in the mountains (especially in the Uintas) and camping near Stanley, ID- all of which involved his family and extended family. Doug was an avid reader, had a love for history, and a remarkable memory. He loved traveling around the U.S. and around the world. He is survived by his wife; daughters, RaeAnn (Jim) Hart, Sharla (Roger) Anderson, Lana Fonnesbeck, and Maja (Ted) Goodey; son, Marc (Shelly) Fonnesbeck; sisters, Sheila, Marcia, Leah, 14 grandchildren, and 10 great-grandchildren. Doug is preceded in death by his parents; two sisters, Carol and Margo; and one brother, Jim. Services will be held on Friday, April 12, 2019, at 11 a.m. at the Bear River City church building (5870 N. 4700 W.). Viewings will be held on Thursday, April 11, 2019, from 6-7:30 p.m. at the Rogers & Taylor Funeral Home (111 N. 100 E. Tremonton) and prior to the funeral on Friday from 9-10:30 a.m. in the Bear River City church. Interment to follow at the Howell Cemetery. Special Thanks to Dr. Elizabeth Prystas and Kathy Bower, and to all Doug’s children, grandchildren, and great-grandchildren for their many visits and good conversation.